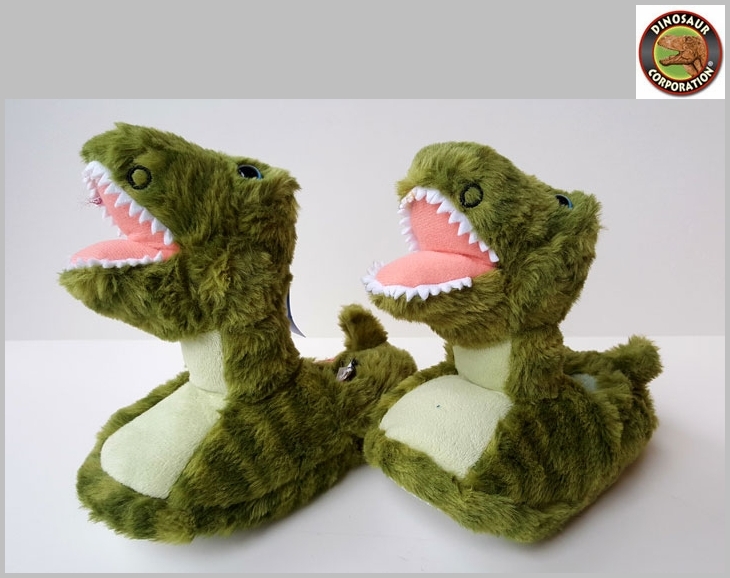 Kids will love these amazing T-Rex Dinosaur slippers. The plush polyester fibers and one-inch high density foam will keep your feet warm and comfy, while the durable outer sole and reinforced stitching means these slippers will last longer than the next ice age. 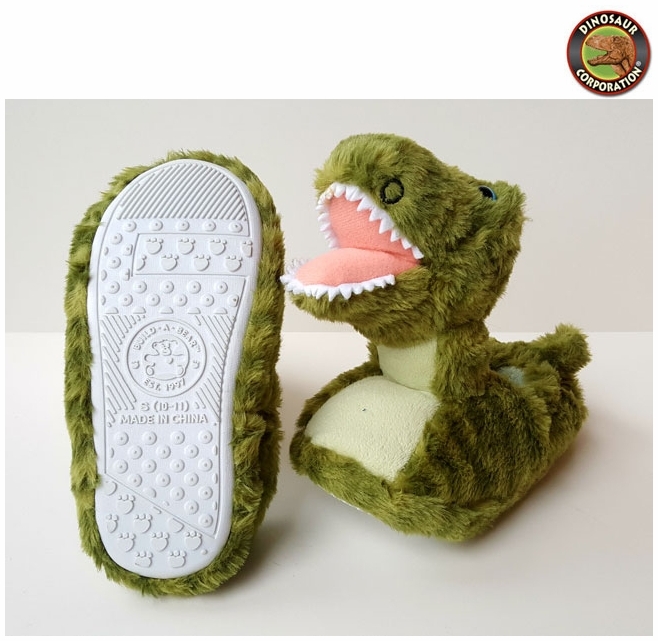 With a scaly design and short forearms, these T-Rex Slippers are sure to put a smile on any dinosaur lovers face. Available in multiple sizes, these dinosaur slippers are sure to fit any size claws!